Highway 30 is not known for being a particularly speedy or direct route to the Northern Oregon Coast, but if you have the time and inclination to adventure one weekend, many interesting things can be discovered tucked away in little hamlets and small towns along the way. Starting South of Germantown Road, take Highway 30 north towards Sauvie Island, where you can stock up on organic berries and a snack for the road at Bella Organic Farms. (Krugers, on the West side of the island, is another option; farm store, music, food carts, and a beer bus serving Captured by Porches beer.) 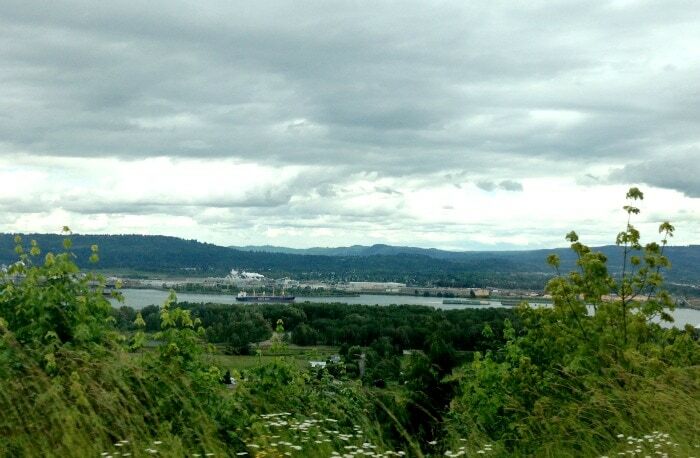 A wonderfully accessible hike is located at the Northernmost end of Sauvie Island, off of Reeder Road. Warrior Rock Lighthouse is located at the tip of the island, a 7.5 mile loop hike that is on partially paved paths, and great for kids and leashed dogs. Continuing North along Highway 30 after visiting the island, keep your eyes peeled for funky thrift shops in St. Helens and Scappoose – there are many right on Highway 30 itself, with fun trinkets and great treasures for beachy picnics like vintage wool blankets, thermoses, and picnic baskets. On your way to the Lewis and Clark National Wildlife Refuge, stop in at the Berry Patch Restaurant in Clatskanie, Oregon. Huge servings make sharing a couple of dishes a fun option, and the in-house pies, jams, jellies, and soups make stocking up for later feasts a breeze. The wildlife refuge, a series of small islands in the Columbia River Delta, provides wintering and resting areas for tundra swans, geese, and ducks. Up to three dozen active bald eagle nests create viewing opportunities year-round, and a number of native fish species are found in the refuge as well. 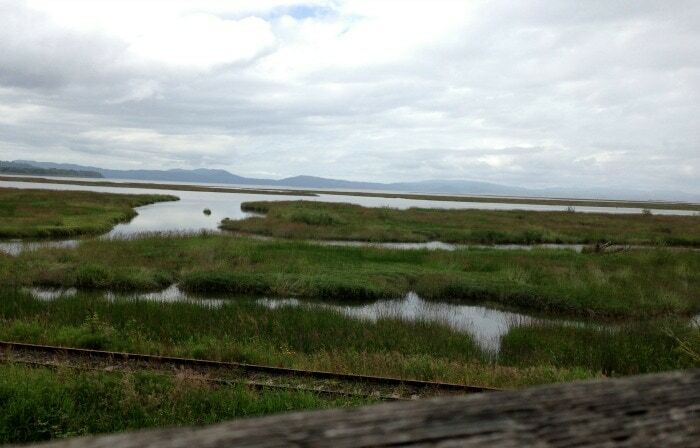 Photo opportunities include the tidal and marsh vegetation, Harbor seals and California sea lions, an occasional beaver, raccoons, weasels, mink, muskrat, and river otters. . 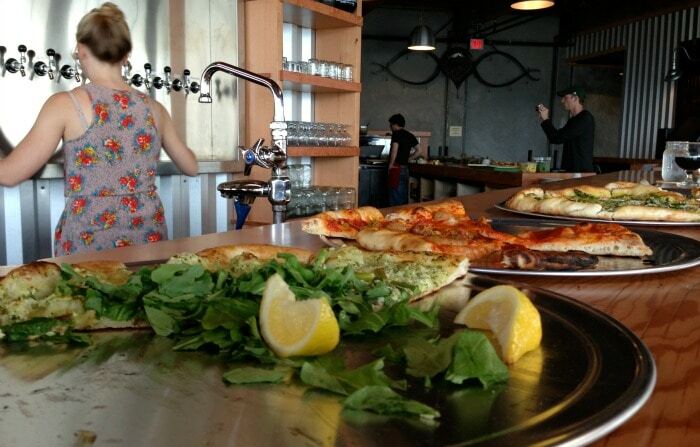 Arriving into Astoria, a must see is the expansion of Fort George Brewery. A new upstairs seating area for the pub boasts access (both interior and exterior) via spiral staircases reclaimed from the Astoria Column and renovated for new life at Fort George. A huge table in the new pub space was created from the floor hole cut to accommodate the staircase, while bar stools crafted from oak barrels flank a rescued pharmacy counter and offer a perfect perch to watch the wood fired oven or huge barges steering cargo ships up and down the Columbia River. Building materials rescued from a local dairy, repurposed wood from the Fort’s own buildings, and an endless supply of creativity from the staff at Fort George make it one of the best places on the Northern Oregon coast to grab a bite to eat and watch the weather. The added bonus of delicious beer makes it an easy favorite. If your curiosity is piqued on the business of ships, wander down the hill from Fort George to the glorious Columbia River Maritime Museum. There, interactive exhibits range from sharks (including a 3D shark movie!) to the ‘Perilous Passage’ of the mouth of the Columbia River. Wooden boat building, native basketry, nautical knots, basketry and sign carving are also offered through the museum as classes and workshops. If kids are along, make sure to spend a few hours letting them run some energy out at the Astoria Aquatic Center just up the road from Fort George. A lazy river, whirlpool, water play, wading pool for small(er) children, and a large water slide make this one of the best deals for rainy (and sunny!) days at the coast. Finally, stay at the Cannery Pier Hotel or renovated Commodore Hotel. With lovely views of the river and sweet historic coastal and maritime theme details, these two hotels are at the top of the list for a good night’s rest. The next morning, find coffee and breakfast at the Commodore’s in house coffee shop, or venture back to 14th and Exchange to the Blue Scorcher Café. Trip extensions can include a stay at the newly opened Gearhart Hotel & Sand Trap Pub owned and operated by McMenamin’s, visits to Fort Clatsop and Netul Landing, Cullaby Lake, and Fort Stevens National Park (where a good game of hide and go seek can be enjoyed by young and old alike in the abandoned and somewhat dark and creepy Battery Russell). Meander through the vacation haven of Seaside, just 30 minutes South of Astoria on Highway 101, where fledgling Seaside Brewing Company can quench your thirst, Rascal’s or the Seaside Candyman can offer a sweet treat, and you can engage in goofy, old fashioned fun on the Tilt-a-Whirl, putt putt golf, and bumper cars a block from the beach on the historic promenade. With so many attractions both nature and man-made at hand, it’s easy to see how the North Coast of Oregon is one of our most beloved treasures, and a family staple for quick or spontaneous trips to the beach with any combination of kids, adults, and dogs. Emily Engdahl is the founder of Oregon Beer Country, a travel and tourism site dedicated to all things beer in Oregon. 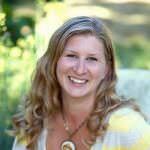 Emily is a freelance writer for 1859 : Oregon's Magazine, Travel Oregon, the Oregon Beer Growler, and Craftbeer.com. She is a Native Oregonian, graphic designer, homebrewer, beer drinker, coffee roaster, joker, instigator, helper, laugher, listener, voracious reader, dog & kid wrangler, chicken keeper, and many hats wearer.